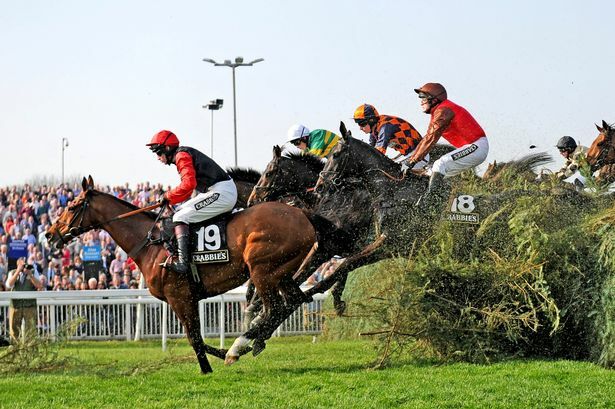 The Grand National is the most famous National Hunt race that gathers the best horses in the UK each year. Legends that have won the National include Red Rum, Aldaniti, Hedgehunter and Party Politics. One For Arthur was last year’s winner with odds of 14/1, ridden by Derek Fox and trained by Lucinda Russell. It is a national hunt race that takes place every year at Aintree with a purse prize of over £1 million. What characterize hunt races are the jumps and different obstacle that simulate what a race through the forest would be like. Aintree is the racecourse, and it was exactly here were the country lads used to race each other in between landmarks; jumping over fallen logs, a stone wall and avoiding the channel right at the turn. In the present most of those obstacles in the exact places have been simulated with fences and pools. In its history there has been a few fatalities and a jockey during the Grand National. 40 horses compete over 4 miles and 514 yards and jump over 30 fences. Famous fences include The Chair, Becher’s Brook and the Canal Turn. Expect to see massive falls around these incredibly difficult jumps. When is the 2018 Grand National Race? Staged at Aintree racecourse just outside Liverpool and takes place Saturday April 14th. But the race is just one of the many high stake races that happen during the Grand National Festival, beginning the 12th and ending the 14th with the big race. Starting time: 5:15pm UK time. The 2018 sponsor will be Randox Health, replacing Crabbie’s. Randox is a fast growing medical diagnosis equipment manufacturer. What TV Channel Broadcasts the Grand National? ITV will be the official channel with Ed Chamberlin as host. Some sportsbooks will re-direct this transmission for international punters, like William Hill. The race will no longer be viewed through BBC. Blacklion – Ended 4th last year, experience can see him improve in that ride. Take note the horse carries more weight this year and that could be a challenge. Total Recall – A horse that has been improving from chasing to winning after the trainer change to Willie Mullins. Cause of Causes – Second last year and trained by Gordon Elliot. His weight will certainly increase though. To review betting odds live go to WilliamHill. The following are possible contenders with their age, weight, rating, owner and trainer.